I wanted to share my elderberry recipes, after the last post where we explored this awesome herb, and the many uses of elderberry (click here to see that post.) These are the recipes I used to make my cold and flu busting syrup this year. It’s a crock-pot recipe, so if you can make chili in the crock pot, you can make this too. It’s really simple! Today, I’m gonna share two elderberry recipes, plus dosage instruction and some extra tips and ideas. I’m giving you a very basic syrup recipe, and a deluxe elderberry recipe that includes more herbs, that crank up the effectiveness. The basic is a great place to start if you need something on hand quick, and just want to keep it simple. The deluxe syrup, which is what I used this year, includes additional herbs, and an elderberry vinegar infusion, which I told you about in the last post. Extracting the juices from the cooked herbs…a much cleaner technique! The echinacea tincture and the elderberry vinegar require more time to make. But don’t let that discourage you…go ahead and read over it, and you can start the tincture or vinegar infusion now if you’re interested, and have it ready for your next go-round. Don’t be intimidated! It’s FUN to play around with herbs. There’s lots of room for tinkering with herbal recipes, and you can’t go wrong using these ingredients. I doubled the amounts for my batch. Next year, I’m at least tripling it, and freezing about half of it in ice cube trays. Some of mine fermented last year, and the kids were not too fond of the “wine” medicine. The recipes below will yield around 4 cups (about 64 ounces!) of homemade elderberry syrup. MUCH cheaper than the health food store price of $15 for 4 ounces! Put 2 cups of dried elderberries into your crock pot, and cover with 1 quart boiling water. The next morning, set the crock pot on low, and let it simmer for several hours. I got busy and kept it on warm for a couple days. Whatever works for you...it's a flexible process. Because I let it simmer for so long, I added more water when it looked like it was getting a little low. You want a very wet mash...but not a soup. You may also do this whole thang on the stove top using a saucepan, let sit overnight, and then simmer for 30 minutes. Allow to cool, and strain/press out the berry mash, keeping the dark, berry infused liquid. The straining can be frustrating & messy, but I think I figured out a good way to do it so you get the least mess, and the most juice out of your herbs and berries. For each additional ½ cup of herbs that you add to the basic recipe, also add another cup of hot water and then proceed with the original recipe. Any or all of these herbs are great herbal companions, adding minerals and additional antiviral properties. 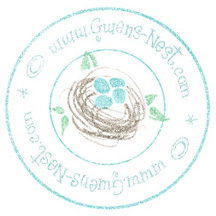 I tell you more about what they do, and give you a couple more great tips and tricks in the "star ingredients" section in my elderberry recipes post. Place a large strainer over a bowl that you'll catch the juice in. Lay a clean tea towel over the strainer. Line the tea towel with paper towels or a coffee filter right in the center. The paper layer makes clean up SO much easier! Dump 2-3 cups of your berry mash in onto the paper liner, and gather up the towel with all of it inside. Begin to squeeze the berry mash, while twisting the top of the towel and forcing the mash into a tighter and tighter ball--squeezing out all that good juice into your bowl. You should get around 2 cups of liquid. When you've gotten out every last drop, all you have to do is drop the spent berries inside the paper liner into the trash. Your towel will be nice and purple, but it won't be covered in gunk. If you're doing a large or double batch, just squeeze/strain in batches. For every 2 cups of juice (give or take), add the noted amounts of apple cider vinegar, fresh lemon juice, and raw honey, and mix well. You can adjust the lemon and honey to taste at this point. If you have more than 2 cups of juice, then adjust the amounts of lemon/honey/vinegar accordingly. If you have closer to 3 cups of juice would be 3 lemons, ¾ cups of vinegar, and 1 ½ cups of honey. For closer to 4 cups of juice, you'd just double the original amounts. Stir well, adjust lemon and honey to taste, and then store in clean, glass jars or bottles in the fridge. If you make a very large batch, you may want to freeze some of it in ice cube trays, as it may ferment the course of a couple of months. For herbal preparations like this, that contain what I consider to be food as opposed to strictly medicinal plants, I'm not so picky with dosage amounts. We will also take a dose or two over the course of the day whenever we are around illness, as a preventive; or if a member of the family is trying to come down with something. Echinacea is a classic immune booster. It is a great companion herb to elderberry, and is often found in commercial preparations. Originally, I had wanted to include it in my recipe, but after researching, I chose to make a tincture of it separately instead of steeping it in with my other herbs for a few reasons. First, steeping root material takes a LOT longer than berries and leaves, and also, the water can pull out components from the echinacea root that make it unwise to use over extended periods of time. But using a high-proof vodka infusion (a tincture) of the echinacea root makes it stronger *and* safe for everyday use…according to the owners of Beeyoutiful, the manufacturers of Berrywell. I put the Echinacea root in a jar with rum or high proof vodka for a month or more. This creates a “simple” or one-herb tincture that can be taken alone, or given with the elderberry syrup. This gives me a lot of flexibility, as I can enhance the elderberry recipes with this tincture…AND it can be limited to older kids and adult use, since it’s vodka based. To pull even more medicinal properties from the elderberries, you may also make a vinegar infusion, using the method I discussed here. 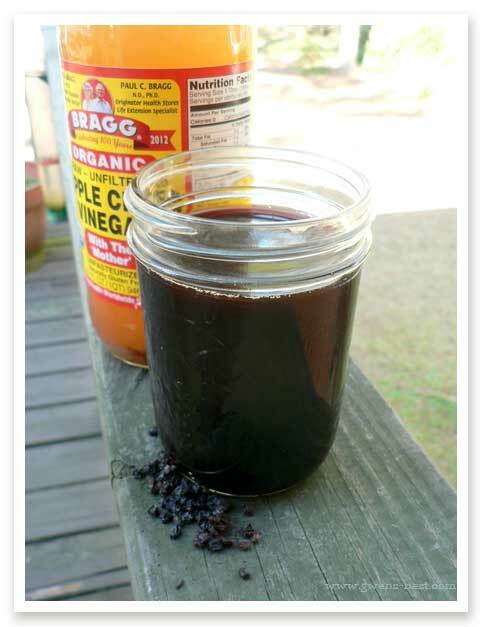 Vinegar pulls out an even broader range of beneficial properties from your fresh or dried elderberries. I used my infused vinegar in lieu of the plain vinegar called for in the basic recipe. I like to let the fresh or dried berries steep for 6 weeks or longer. 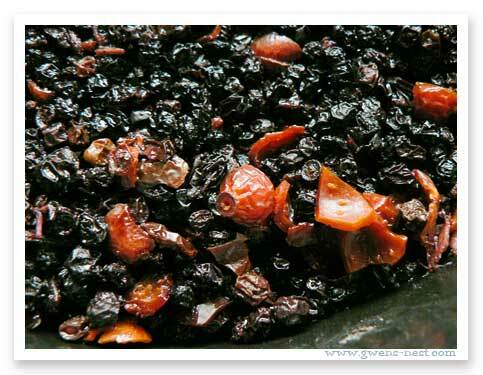 If using dried berries, I would soften them with a splash or two of boiling water before adding the vinegar. These are from my notes, and I didn’t cite sources on them years ago. If you recognise a source for this info, please let me know and I’ll be happy to cite them and give credit. 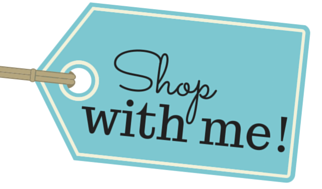 🙂 All links below are my Mountain Rose Herbs affiliate links. During cold and flu season, you may have to hunt for a source that’s not out of stock. Lemon Juice: adds a high concentration of vitamin C and flavor. Vitamin C is excellent for colds and flu. Antibacterial, protects mucous membranes and helps heal ulcers of the throat/mouth. High in antioxidants. Raw Apple Cider Vinegar: Along with the lemon, the raw cider vinegar ups the acidity of the mixture, which helps support the ph of the digestive system. It’s considered to be anti-microbial, and is full of live enzymes that support immune health and digestion. As far as the flavor goes, it adds just a touch of tang, but doesn’t overpower the berry flavor of the syrup. Raw, unprocessed honey is a superfood that provides antioxidants, minerals, vitamins, amino acids, enzymes, carbohydrates, phytonutrients, and has strong antimicrobial and antibacterial properties. It soothes tissues, while strengthening the white blood cells to destroy bacteria and viruses. Most households currently use processed honey, which has been heated and pasteurized, and can contain botulism and High Fructose Corn Syrup, (HFCS). 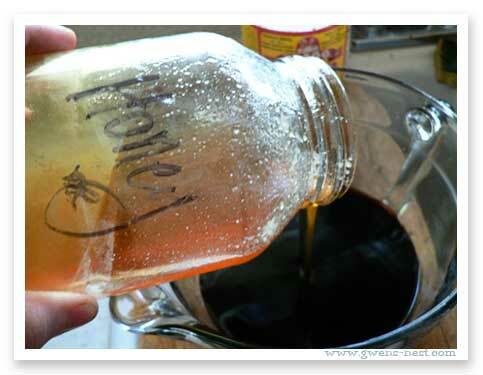 Processed honey is not as antibacterial as raw honey, and is dangerous for diabetics. Elderberry: Elderberry recipes have been a folk remedy for centuries in North America, Europe, Western Asia, and North Africa, hence the medicinal benefits of elderberries are being investigated and rediscovered. Elderberry is used for its antioxidant activity, to lower cholesterol, to improve vision, to boost the immune system, to improve heart health and for coughs, colds, flu, bacterial and viral infections and tonsilitis. Bioflavonoids and other proteins in the juice destroy the ability of cold and flu viruses to infect a cell. People with the flu who took elderberry juice reported less severe symptoms and felt better much faster than those who did not. Elderberry juice was used to treat a flu epidemic in Panama in 1951. Elderberries contain organic pigments, tannin, amino acids, carotenoids, flavonoids, sugar, rutin, viburnic acid, vitaman A and B and a large amount of vitamin C. They are also mildly laxative, a diuretic, and diaphoretic. Flavonoids, including quercetin (an anti-inflammatory), are believed to account for the therapeutic actions of the elderberry flowers and berries. According to test tube studies these flavonoids include anthocyanins that are powerful antioxidants and protect cells against damage. At the Bundesforschungsanstalt (say that 5 times fast!) research center for food in Karlsruhe, Germany, scientists conducting studies on Elderberry showed that elderberry anthocyanins enhance immune function by boosting the production of cytokines. These unique proteins actas messengers in the immune system to help regulate immune response, thus helping to defend the body against disease. Further research indicated that anthocyanins found in elderberries possess appreciably more antioxidant capacity than either vitamin E or vitamin C.
Nettles: Nettles contains natural antihistamines and anti-inflammatories (including quercetin), that open up constricted bronchial and nasal passages, helpingto ease hay fever, and nose & sinus type allergies symptoms. Nettles have been used as a tonic for the female system as far back as Native American women, who used it throughout pregnancy and as a remedy to stop hemorrhaging during childbirth. It is considered one of the best all round women’s tonics. Chamomile: Chamomile flowers have antiseptic properties, making it a great herb to use as a mouthwash for healthy gums, or an as eye bath for an infected or inflamed eye. Its antiseptic capabilities are up to 120 times stronger than sea-water. It also promotes relaxation, reduces pain, and is an anti-inflammatory. Astragalus: Astragalus stimulates the activity of white blood cells…these are an important component of the immune system in fighting infections. It’s considered an antiviral herb, as well as an immune stimulant, so it’s got a similar and supporting function to elderberry. According to Savvy Teas and Herbs, it’s safe for pregnancy or nursing Moms. There are a few concerns with this herb. It’s not recommended for long term Lyme infection cases, and for those who are allergic to the legume family. Also, it may interfere with some medications such as beta blockers, anti-coagulants, and certain diuretics, and cyclophosphamide, a medication used to reduce the chances of rejection in transplant recipients. Which reminds me. Please be sure to do all of your own homework on herbs before taking or giving them to anyone. They contain potent medicinally active compounds! Even though I consider herbs to be a MUCH safer alternative to over the counter or even prescription drugs, due caution and research should be applied, especially when using medications *and* herbs. Hope you enjoyed this post, and that you’re inspired to try your hand at making simple and effective herbal home remedies, like this elderberry syrup recipe! Hi! I’ve made my second batch of the elderberry syrup and it’s not thick this time. The first batch had a thick syrup consistency but now it’s not thick at all, more like a juice. The only thing I did different was leave it in the crock pot simmering longer. Do you think it’s ok to use? It tastes lkke the other batch. Any ideas on what happened? I would have no problem giving this to a 2 year old. Under a year, I’d use a tea and omit the honey. I was wondering how much fresh elderberries would you use to make this? They are plentiful in our area. Thank you! The general rule of thumb is to double the quantity for fresh. I’d probably use 3-4 cups of fresh berries for fresh. Would lemon juice from the bottle be okay or does it NEED to be fresh? I’ve got everything but the lemons and want to make this today. Thanks! You *could* use bottled lemon juice. 🙂 I’m partial to fresh. So I’d probably make it and add fresh lemon juice later. So you leave them in the crock pot overnight but the crock pot isn’t on yet, right? Yes! The boiling water will steep them and soften them overnight, and then you cook them on low the next day. Can you tell me more about why not to echinacea in elderberry syrup I didn’t see that until after I made my syrup with echinacea. Also astragalus is a root, so why does it not fall under same category as echinacea for taking a lot longer to seep. I like to keep echinacea separate as a tincture. 🙂 Just personal preference. Astragalus also needs to steep longer, although thinner shavings will render faster than woody chunks. Thanks for this easy method! Do you still take this regularly when you are on THM? Or have you made modifications? Do you know how much fresh berry to use in place of the dried? My grandma blessed me with an elderberry bush which has grown fast! I’m wondering also if the vinegar method works well for making an elderberry moonshine?